Towering 200 feet above sea level the Navesink Highlands in New Jersey provide a panoramic view of the entrance to New York Harbor. A lighthouse had been built at the end of Sandy Hook four miles north of the Highlands in 1764, however due to the Highlands strategic location, a seacoast light was built on it 1828 which could be seen for miles. 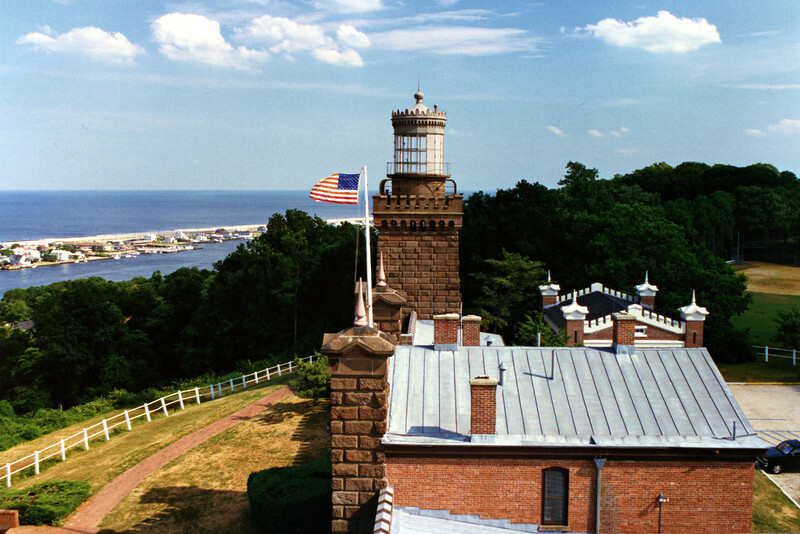 There are some references that indicate that a light or a beacon may have been established earlier at the Navesink site, but this has not been proven. Congress appropriated funds in May 1826 and 2¾ acres of land were purchased for $600 to build a light station on the Navesink Highlands.